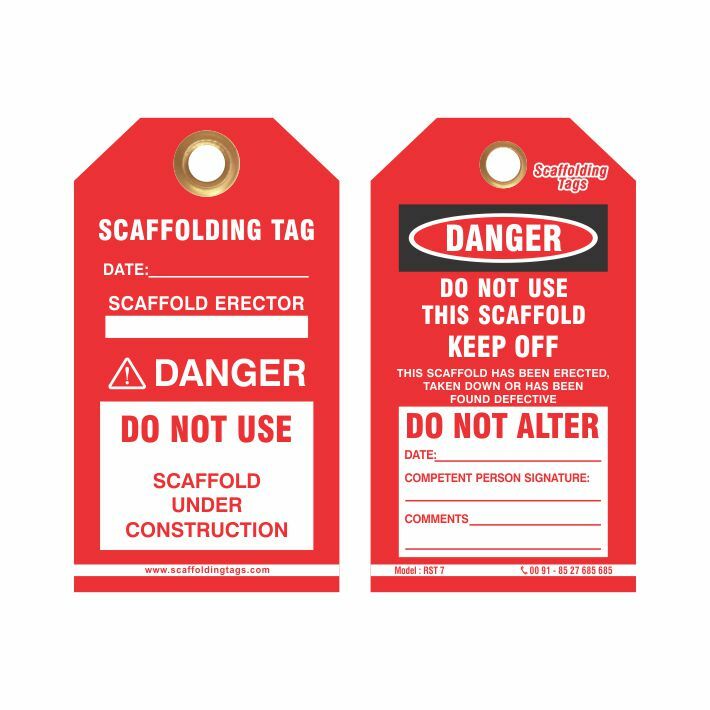 Red Scaffolding tags are designed as per the site / customer requirements and supplied with or without the customisation of company name / logo / location / language, etc. in different colours / captions as required by the regulatory authorities. Scaffolding, also called scaffold is a temporary structure used to support a work crew and materials to aid in the construction, maintenance and repair of buildings, bridges and all other manmade structures. There are four main types of scaffolding used worldwide today. These are Tube and Coupler (fitting) components, prefabricated modular system scaffold components, H-frame / facade modular system scaffolds, and timber / bamboo scaffolds. The Work at Height Regulations 2005 applies to all work at height, where there is a risk of a fall liable to cause personal injury. The scaffold must be inspected prior to being used for the first time, following exposure to weather conditions likely to have affected its strength or stability, after substantial addition, dismantling or other alteration and at intervals not exceeding 7 days from the date of last inspection. 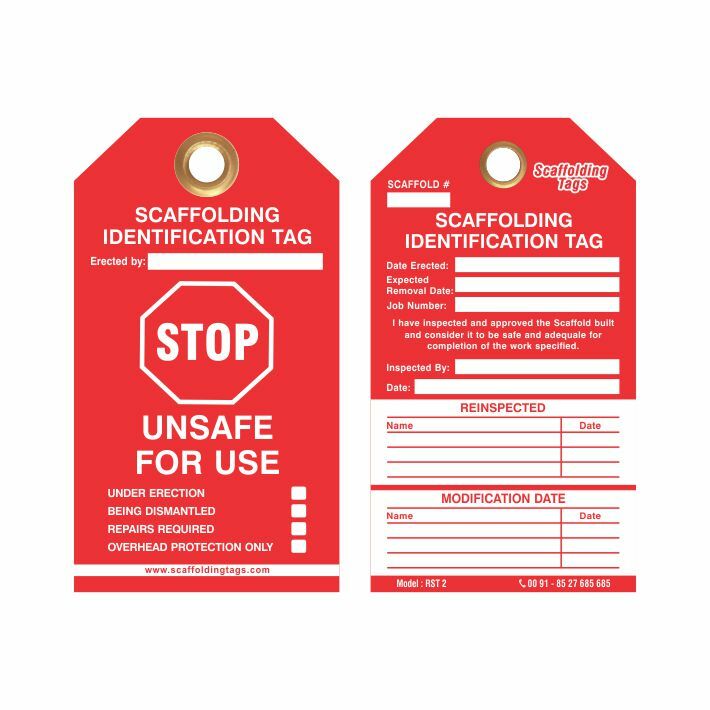 The scaffolding tag system with its unique holder and insert ensures all are aware of the current status of the structure. 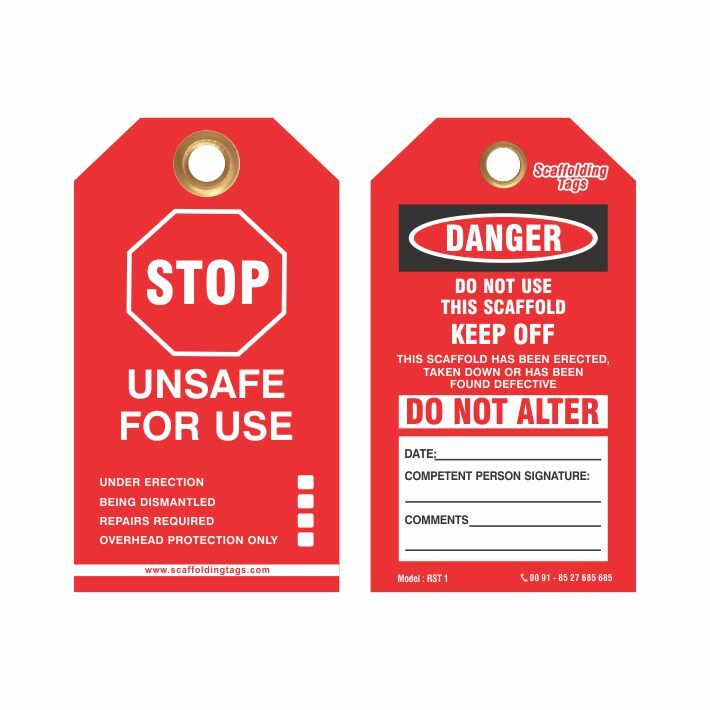 These tags should be placed at all strategic points from the first build stage and are to remain on the structure until dismantle thereby communicating a safety message to all. 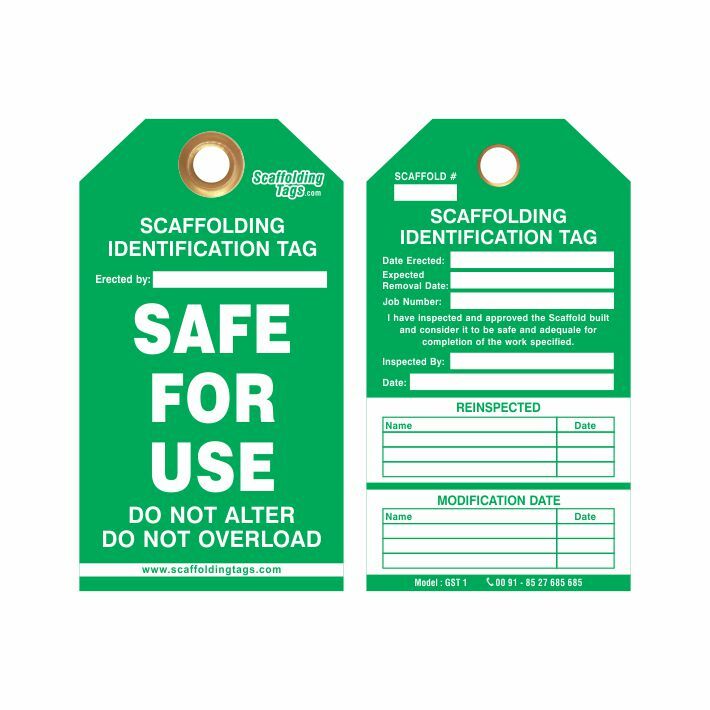 By adopting the scaffolding tag system, the employers / contractors demonstrate care for their workers and that they have done everything reasonably practical to ensure safe access and egress from the place of work as well as giving workers as much information required to work safely. 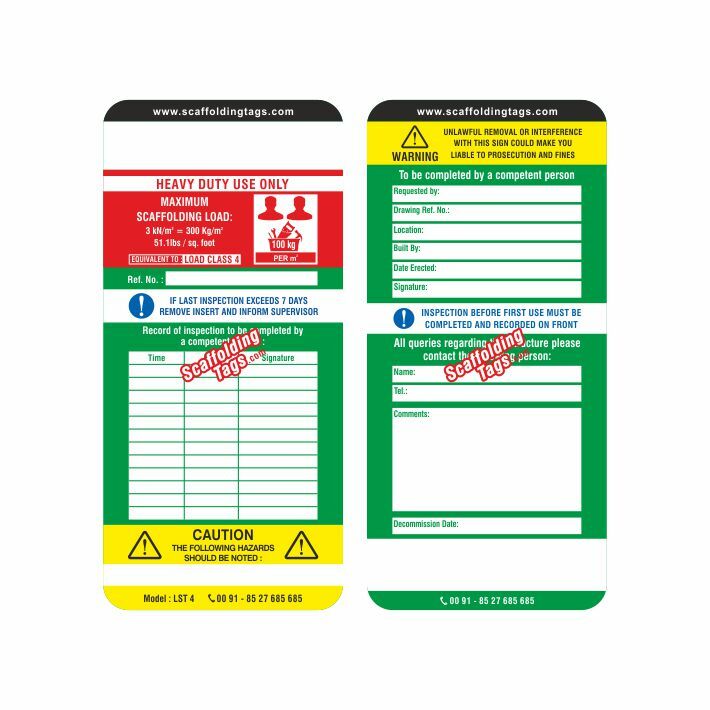 A risk assessment should be completed to determine the appropriate equipment for a specific job and also provide guidance on their inspection. This risk assessment should also be provided to contractors before any work commences at site. Selection of the equipment should take into account a range of factors such as ground conditions, duration and frequency of use and additional risks posed by use, installation and removal of the work equipment. * After any substantial additions or other alterations done to the existing structure. 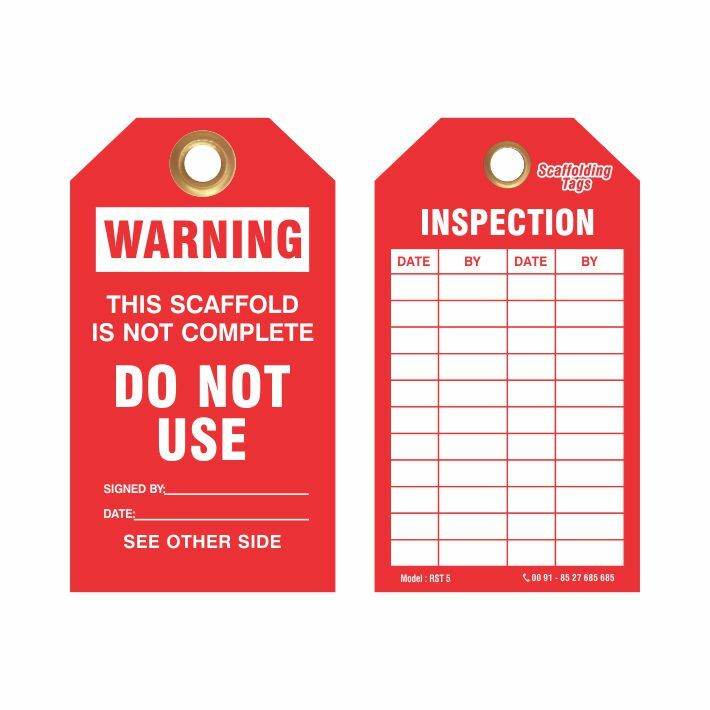 A competent person must carry out general access scaffolding inspection and prepare / write out a report at the time of the inspection and provide the same to the responsible person within 24 hours. A copy of the report should be kept on site and a further copy be retained for a period of three months from the completion of the work with the person on whose behalf the inspection was carried out. 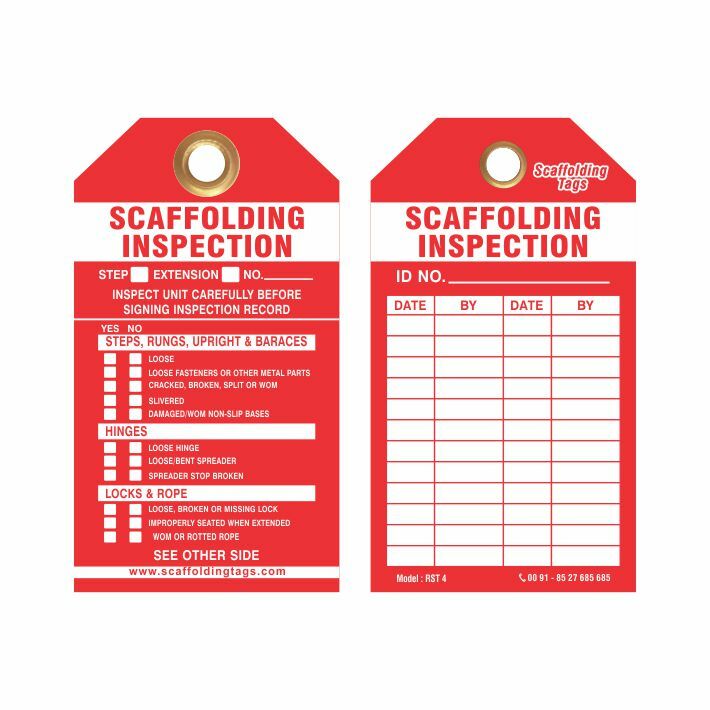 If a scaffold fails inspection, this must be reported to the person responsible for the scaffolding, as soon as possible. 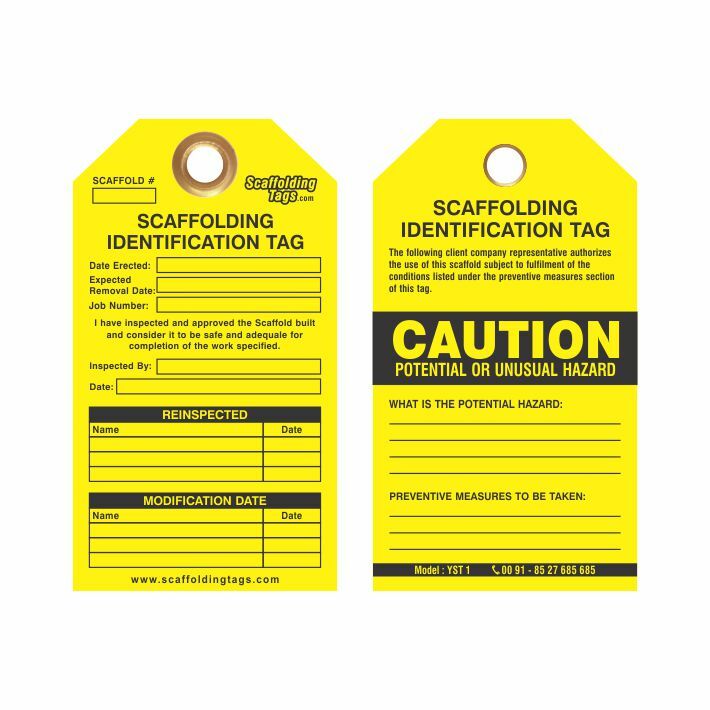 How the scaffolding tags system works. 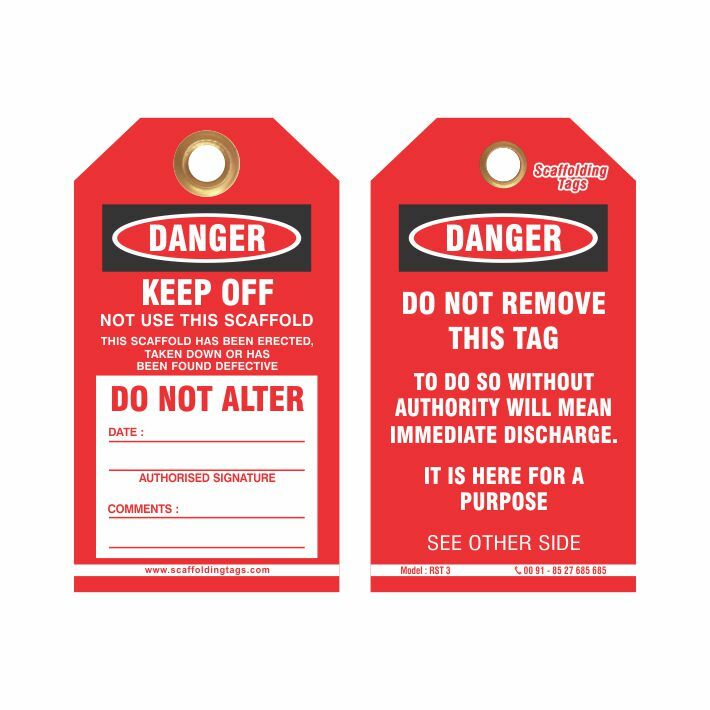 * A holder displaying prohibition is attached permanently to the scaffolding structure at all legal access points. * Structure inspected by the professional and once it passes inspection - insert is completed and placed into holder. 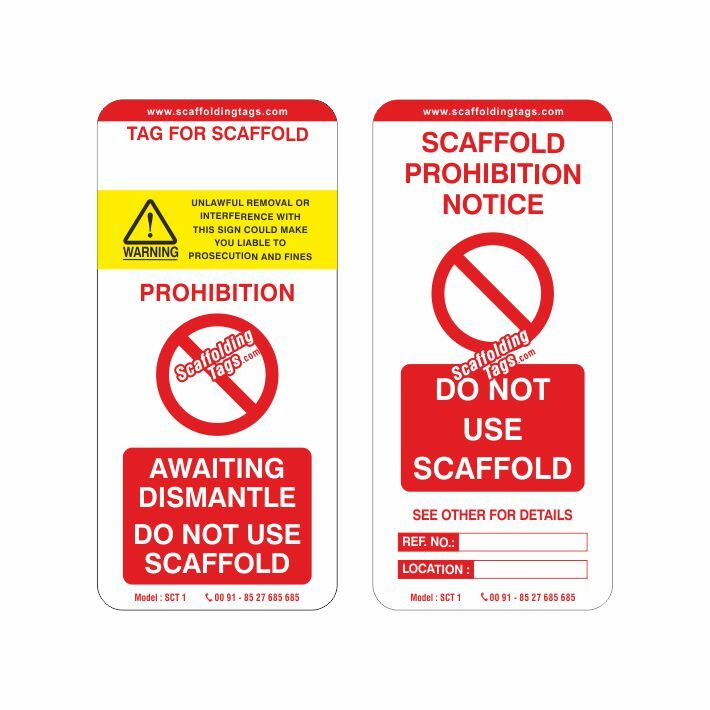 If the scaffold fails inspection, holder is left in prohibition to display “Do not use Scaffold” symbol. 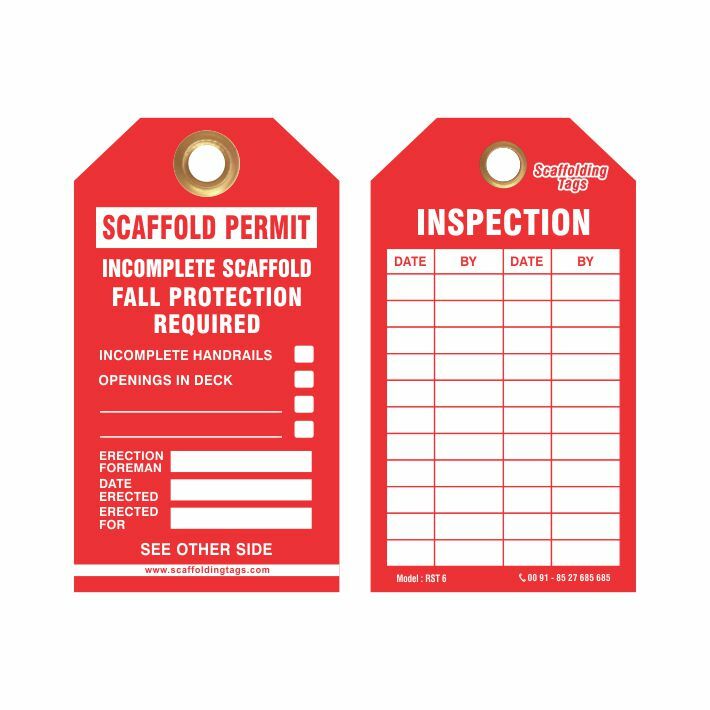 * On the regular intervals of 7 days , Scaffold structure is re-inspected and if it passes inspection, status insert is updated and placed into holder.